Sports injury prevention, it has become the latest hot topic for Sports Medicine and while a google search will get you lots of hits for “sports injury prevention”, many of these articles will barely scratch the surface on the topic, offering banal advice like “stretch more” or “wear a helmet”, while other articles will propose methods, scientifically tested and not, that expose individual weaknesses and exposure to risk. Gurus and internet practitioners often purport to have the solution, and while the exaggerations are plentiful, at least we do have a sudden change in our mindset. Understanding why we get hurt in the first place, the mechanisms of injury as well as the factors that lead to an increase risk are becoming better studied even though the numbers of injuries in competitive sports appears to be on the rise. The Center for Disease Control and Prevention (CDC) in the US reports that “high school athletes alone account for an estimated 2 million injuries, 500,000 doctor visits, and 30,000 hospitalizations every year, and more than HALF of these are preventable”. It was also estimated 3.5 million children 14 and under, are treated for sport related injuries. This would effectively make sports the leading cause for adolescent injury! Now, while there are many details to discuss from these numbers, the idea that there is possibly a significant quantity of injuries happening that we can prevent should put a greater onus on clinicians, coaches, trainers, and in the case of professional teams, owners and general managers, to be proactive about the best practice for sports injury prevention. Preventable sports injuries would include overuse injuries resulting from poor mechanics, insufficient recovery time, too much volume of work, as well as single traumatic events brought on by fatigue, poor balance or the re-aggravation of a chronic injury, which may be the fault of an incomplete rehabilitation or else the neuromuscular adaptations and compensations that change form, or technique, when pain is present. These factors are all compounded by poor practice habits, like not warming up or cooling down properly. This is not an exhaustive list but we can find most preventable causes fall into some version or derivative of the above. The latest trends include subjective approaches like dealing with post-injury psychological coping aiming to reduce anxiety re-injury to the more concrete data collection with GPS monitors, heart rate variability, and other monitoring units that provide insights into general physical as well as Autonomic Nervous System activity fatigue. The latter example provides potentially enormous amounts of data to analyze and interpret, information, and the eventual opinions they generate, on what we need to do to prevent sports injuries. The fact is sports injuries happen, sometimes from violent collisions and other times from seemingly nothing. Luckily, keeping with the trend for technological advances in preventing sports injuries, ironically accompanied by an upward trend in numbers of sports injuries, rehabilitation techniques are increasingly more precise, effective and rapid. We should be doing everything we can in order to prevent injuries and when we cannot, we need to do everything possible to rehabilitate efficiently and completely, with full understanding of why the injury was sustained in the first place. To understand the best way to prevent an injury (not to mention how to approach an eventual rehabilitation) we need to understand mechanisms of injury, their biomechanical components, as well as some simple relationships between quality and quantity of movements. Injuries of the violent collision type are, for the most part, just plain bad luck. Science, for now, has absolutely no grip at all on the luck factor. Biomechanical studies, on the other hand, are making great strides towards understanding mechanisms of injury. Examples: the ACL can be torn with hyperextension, valgus stress, and rotation. The low back can be injured with excessive loading in a flexed position (disc injury) or a hyperextended position (lumbar facet joints). The hamstring, the bane of kicking and quickly accelerating/decelerating athletes, is under excessive strain with lack of muscle flexibility, strength imbalance, and poor lumbar posture, amongst others. The shoulder experiences traumatic stress when strength ratios and synergy of the rotator cuff are not optimal as well as when the relationship between mobility and stabilizing elements down the kinetic chain put excessive tension on or do not allow ideal motor control of the shoulder joint. HOW CAN WE PREVENT INJURY? By recognizing some of the common threads in how athletes injure themselves, we can start to incorporate our injury prevention efforts into our performance regimens as well as focus on performance elements in our rehabilitation protocols. The following are three foundations that, when optimized, will reduce the risk of injury. The willingness to want to discover, and subsequently work on, the weak link instead of pounding away at what one may already be good at, is probably the first hurdle an athlete must clear on their way to healthy and successful participation in sport. Joint alignment and how forces are transferred through the body, include factors such as mobility, stability as well as coordination and/or motor control in static or dynamic fashion. Imagine the ways in which we jump, land, change directions, push, pull, and execute sports specific gestures. As Gray Cook from Functional Movement Systems says, “move well, then move often”. However, he also said, “don’t put fitness on top of dysfunction” in the case that you are not moving cleanly. This includes overall strength as well as strength ratios between agonist/antagonist pairs, or the muscles that perform opposite actions on a joint. The relationship is direct between injury (I) and the percentage of maximum strength (F) that a movement requires. This means that if you are using most of your strength to perform an athletic feat, the more chance that you will overuse the structures associated with that movement and enter into the injury zone. By the same token, the stronger you are the less percentage of your maximum is being used, and that same movement becomes less taxing and overuse is more easily avoided. The number of repetitions (N), amplitude of repetitions (A), and the rest period between movements (R) illustrates some other factors involved in the risk for overuse injuries occurring (I= NF/AR), a concept explained deftly by Michael Leahy of Active Release Techniques®. Besides game tactics, a coach is a teacher. They instruct on form, fundamentals, rules, and inspire performance. They set goals, determine outcome measures, schedule practice times, length and quantity. They are key players in the management of fatigue and recovery factors, as well as being crucial in the proper execution of training tasks. A great coach can help any athlete reach his or her potential. 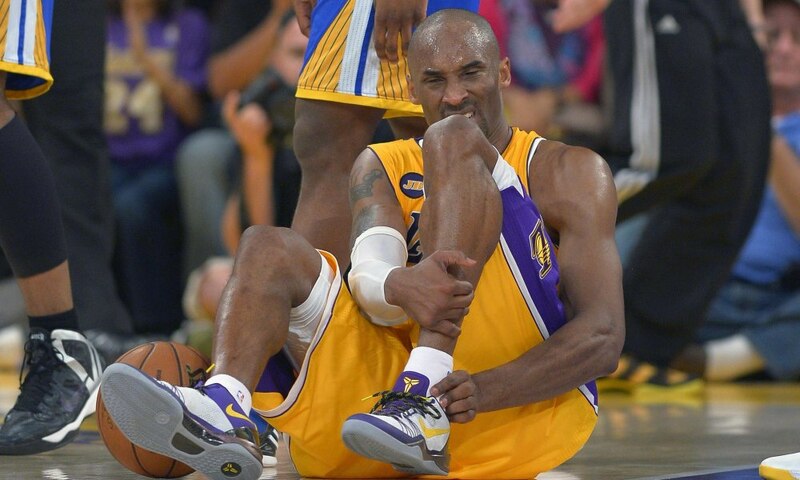 A poor coach, at best, does not pull the best out of his athletes, and at worst, will expose them to injury. How we decide to train, with the above foundations in mind, should also have transference to the sport being trained for. Explosive and powerful movements (sprinting) or long sustained efforts (long distance running), extreme ranges of variable motion (dancing, gymnastics) or contained and unchanging ranges (cycling) are some examples. Possession of the right type of strength, the control of this strength, and enough strength reserves to effectively perform as long as need be, will go a long way to preventing sports injuries, perform at your peak potential, and enjoy success practicing the sport that you love. Better is better.